Do you wish you could recall the names of people you just met? What if birthdays, important errands, and online passwords rarely slipped your mind? Psychologist Robert Madigan is an expert in the "memory arts"—practical, proven methods for improving the ability to retain and use information. Like taking the stairs instead of the elevator, it's important to exercise memory in simple ways every day. That's where this science-based guide can help. Dr. Madigan explains how memory works and presents innovative mnemonic devices and visualization techniques that will help you sharpen your mental skills; avoid embarrassing lapses; and remember faces, appointments, facts, numbers, lists, and much more. 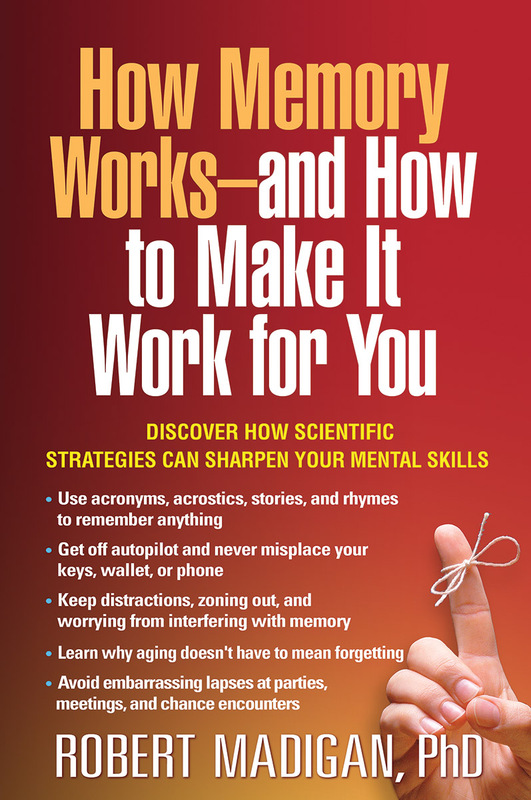 Reclaim your brain—this book shows how.